I drew this sketch early pretty much sums up today, in a minute i am off to the dentist (haven’t been in 7 years) because my wisdom teeth are killing me Fingers crossed they will give me something to stop my face from swelling…wish me luck. Previous Post A shaped Board. My wisdom teeth give me bother sometimes, you have to keep brushing them and that will force them grow out better. You must go to the dentist twice a year. Healthy Teeth are very important misses. I would rather go to the dentist than hairdressers. Aie! Wisdom teeth… that's horrible! Good luck and I hope that you are not too much going to suffer. I knwo how you feel, wisdom tooth are such a pain! I got mine removed two years ago and they were immense, glad that they were out. Hope you feel better soon! I treat wisdom tooth with the same regard. Wisdom tooth or mollars means a tooth extraction procedure. 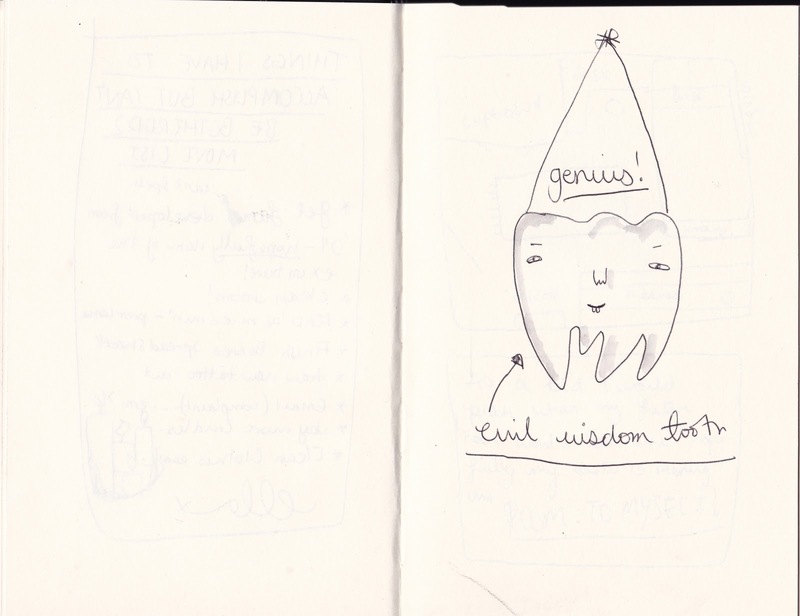 That evil wisdom tooth! gave me nightmares of them pulling them out, but now I'm happy its gone and going to continue my eating habit. I know how this feels as I have undergone the same during my early twenties. I had two wisdom tooth extracted by orthodontic associates.